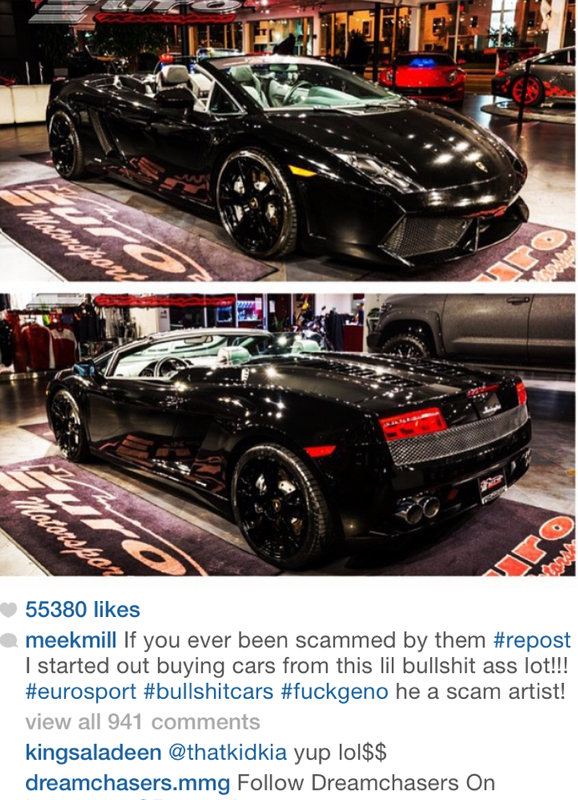 Rapper Meek Mill took to his instagram page to blast a car company in Florida called EuroSports claiming they sold him a Lamborghini (pictured right) and hid the fact that the car had a salvage title until after he'd paid for it. For those who don't know what a car with a 'Salvage' title means, it means a car that's been in wreck - in Nigeria we call it 'accident' cars. It's supposed to be worth less than cars with 'clean' titles but they sold it to him like it was clean.